This week’s episode is special for many reasons. It marks the end of our first year of broadcasting and we are joined by one of South Australia’s most accomplished broadcasters as Nigel 8, Keith Conlon. We also have a military theme tonight, with a guest who was a former SAS commander, before we then take a look at the one and only, South Australian Navy. 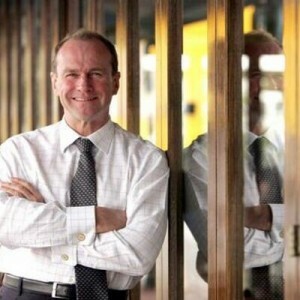 Our guest tonight is Martin Hamilton-Smith, pictured, the South Australian Minister for Investment and Trade, Defence Industries, and Veterans’ Affairs. When he crossed the floor this year to become an Independent MP and take up his ministerial portfolios in the Labor Government, he not only brought stability to a hung parliament but he incurred the wrath of some very bitter foes. How does someone survive the full, angry glare of the media? Does SAS training help? What gets you through and what is the cost? They are just some of the questions we put to Martin Hamilton-Smith in our chat, as we explore the past and the makeup of one of the highest profile South Australians alive today; from the politics of government to the politics of the kitchen. He says, ‘I didn’t join to serve a party, I joined to serve the people’. Nigel IV, Charlie Helen Robinson, gives us a tour of the new building at Adelaide High School and announces her run as a ward councillor for Charles Sturt Council. South Australia’s elder statesmen of wine, James Haselgrove, gives us his 2011 The Futures Shiraz from McLaren Vale for toasting Queen Adelaide, Keith Conlon puts his law degree to good use when he sits on the bench of The Adelaide Visa Council for the first time, and our singer this week is a marine biologist! 00:02:36 South Australian Drink Of The Week James Haselgrove 2001 Futures Shiraz from McLaren Vale. Tasting notes. 00:13:00 Interview: Martin Hamilton-Smith Martin Hamilton-Smith is a state government minister who has been in the media spotlight since turning independent shortly after this year’s state election. Not only did his move bring stability to a hung parliament, it also gave the vitriolic quarters in South Australia’s media and political circles a solid target to aim at. Steve: Ben Pike Regarding wine tasting.Steve: Greg Barilla from the Advertiser re the What Grows Here app.Keith: Crows Foundation.